So here I am ..... Woah! — Super Helsinki! So here I am ..... Woah! Hello there peoples of the internet! Here I am. After toying with the idea for quite some time, I've decided to set up this blog. There are various reasons for this; to enhance & improve the social aspect of my internet usage, to interact with new & (hopefully) interesting people & to chronicle the current (sometimes strange) goings-on in my life. I'm also hoping that this may also help other people in my situation in the future - even if just one person reads this & takes something away from it, I'll be happy. Please don't expect anything exciting or profound from this blog, as it will mainly be me rambling on about random things, possibly complaining, & definitely being frustrated (mainly in my quest to find a new job in a country where I barely speak the language). So I'm currently living the dream - Friday night, sat on my bed, checking spelling mistakes (my own) & writing - or rambling - to potentially no one. I'll assume this will be therapeutic in some way & will crack on for now! Firstly, a bit about me, I guess...... I'm originally from the lovely town of Poole in Dorset, but am currently living in Woolwich, London. I moved here in August with the intention of it being my first step in my plan to move to Finland (more on that later). I have a gorgeous 14 month old boy, Pessi Ilmari, who is the absolute love of my life & who currently lives in Espoo, Finland (that gives away the Finland connection, I guess). I'm a HUGE music fan & spend as much of my spare time as possible listening to new & old music - you'll rarely find me without my iPod & pair of ear/headphones. I was lucky enough to be bought by listening to all sorts of music so I have wide & varied tastes, as well as a big interest in music production. That being said, you'll normally find me listening to hip-hop of some kind (at this moment I'm alternating between A Tribe Called Quest & Gang Starr), as well as lots of Motown stuff - more music posts to come, no doubt. I'm also a big football fan - Liverpool, & again, spend a lot of my spare time watching as much football as possible - although not nearly as much as I'd like in person & live! 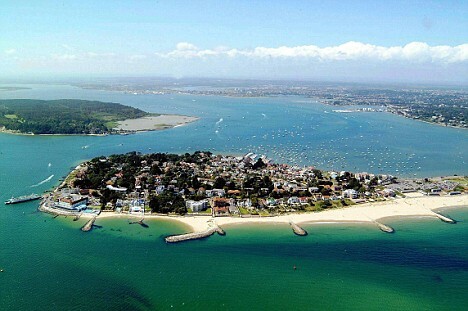 I lived in Poole most of my life, but did have a year-long stint living in Perth, Australia. Some of the best times of my life happened during that year & it's certainly a place I hold dear in my heart & miss on a daily basis. I also met some amazing people & made some great friends over there. I'll hopefully head back at some point soon to visit again. More on Australia in a future post, me-thinks. Many years ago I somehow seemed to find my way in to Business Analysis & this is what I now do & class as my 'trade' or what I know. I've worked for my current employer, on & off, for about 10 years now & have also had spells at JP Morgan & Asgard Wealth Solutions. Anyways, that's it for now. If you've got this far, thank you - & now go have a stiff drink.